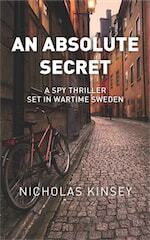 A spy thriller set in wartime Sweden. British SIS officer Peter Faye is sent to Stockholm to spy on German Intelligence Officer Karl-Heinz Kramer. With the help of Swedish journalist Anders Berger he discovers a network of Soviet moles working in British Intelligence. A spy thriller set in wartime Sweden when Stockholm was a bourse for foreign intelligence and German war booty. British SIS officer Peter Faye is sent to Stockholm to spy on German Intelligence Officer Karl-Heinz Kramer. With the help of his assistant Faye recruits an Austrian maid working for the Kramer household who manages to sneak out secret documents belonging to Kramer. The documents are so sensitive that they cause a commotion in London. With the help of Swedish journalist Anders Berger, Faye discovers a network of Soviet moles working in British Intelligence. Kinsey’s meticulously crafted second novel is based on true wartime stories with their heroes and villains. The novel is richly evocative, skilfully paced and a real page-turner. 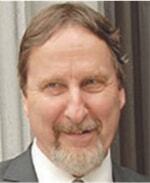 Nicholas Kinsey is a Canadian / British writer and director of feature films and television drama. He has been a successful director, scriptwriter, director of photography, a film editor, and a producer over a long career. As a screenwriter Kinsey has written some 20 feature and television drama screenplays.